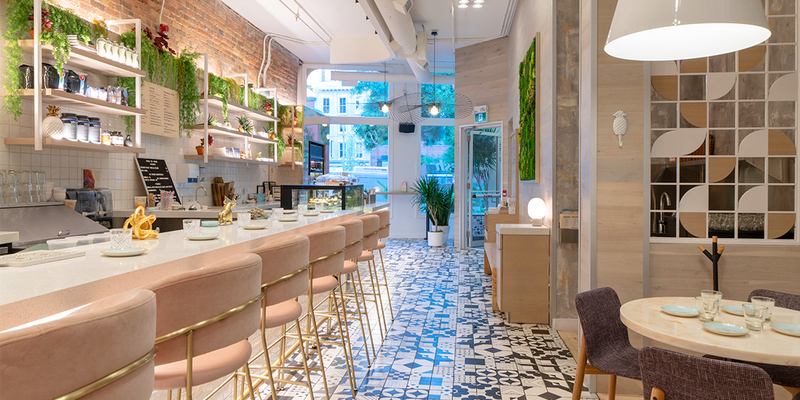 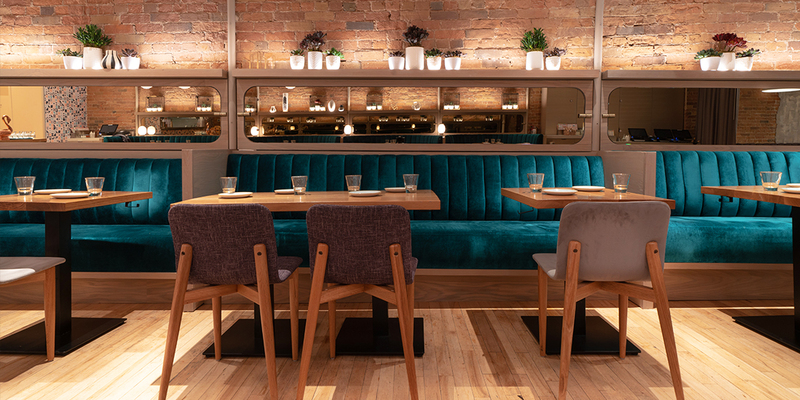 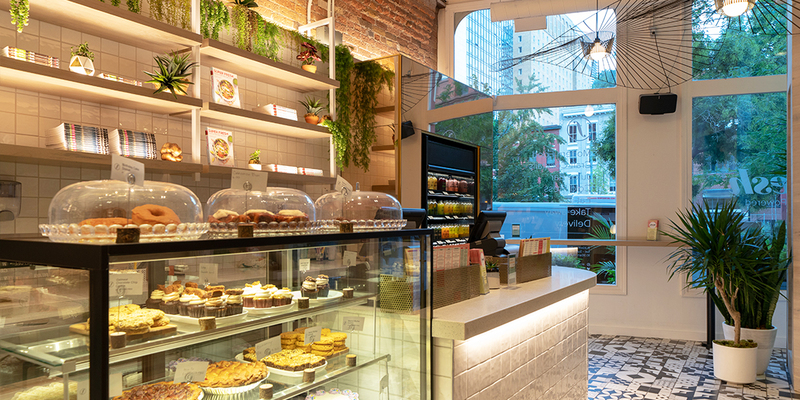 Pioneers of Toronto’s vegan scene, Fresh came to us after successfully launching 4 restaurants across the GTA as they geared up for a brand refresh and the design of a new flagship location on Front Street. 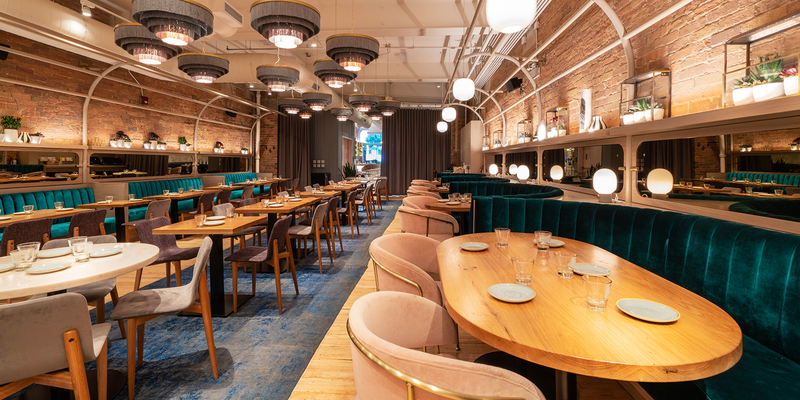 The new space redefines expectations for upscale vegan dining. 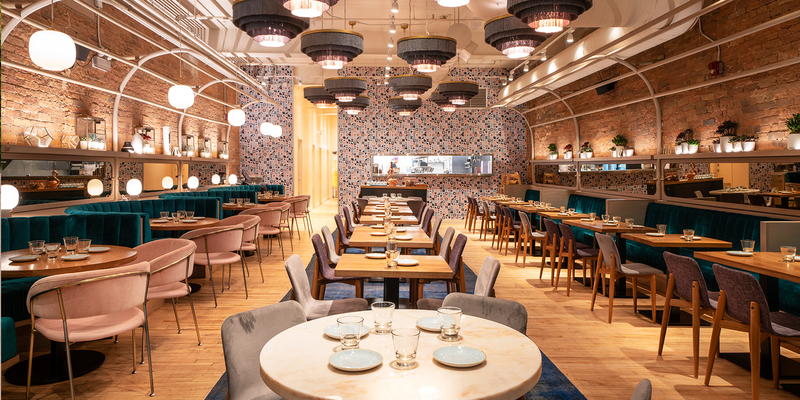 A refreshing palette of soft pinks, turquoise, warm greys and lilac are balanced with natural oak, venetian plaster, rose-gold mirror, hand-glazed tile work, and saturated vintage wool rug in the dining room. 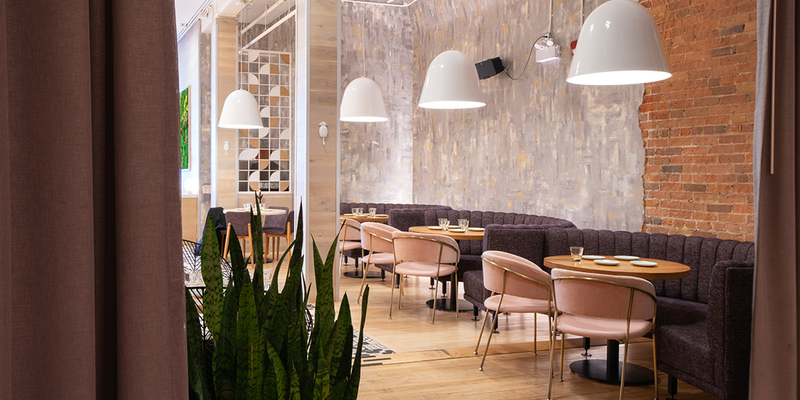 Lit micro planters and playful fringe chandeliers brighten the space with positive energy. 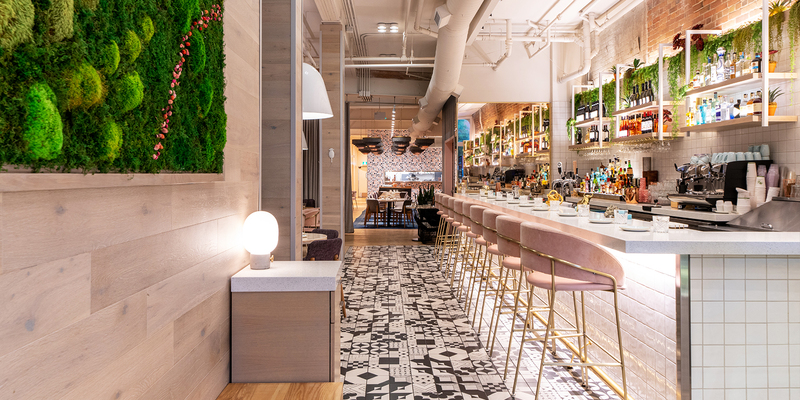 Another hero light fixture and botanical moss wall greets visitors at the entrance, with a striking and Instagram-worthy graphical floor mosaic patterned below. 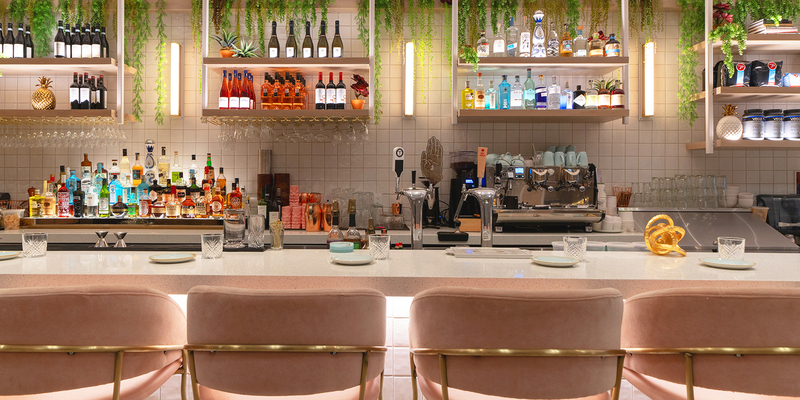 The restaurant also features a first-of-its-kind cocktail bar that serves as an extension of the grab-n-go stations, featuring a new plant-based alcoholic beverage program.